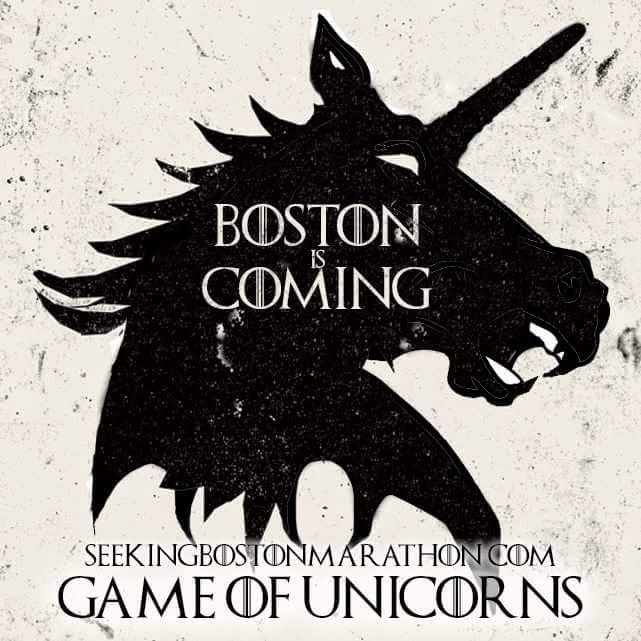 Seeking Boston is seeking another Boston Marathon. Today was a travel day. I always like to arrive early to get acclimated and this is actually the latest I've arrived to the area in recent marathons. I normally combine with some business travel; in this case, that's on the "back end" of my trip. This year is a bit happy and sad in that my wife who's watched every single one of my marathon's has a major project back home and it was impossible for her to attend. While I'm totally bummed about that, her proxy is my 18-yr-old son, Jesse. This is his 16th birthday trip present...yes, a little late. Last year I got to go on my first trip ever with my Dad...just the two of us...to the Super Bowl. 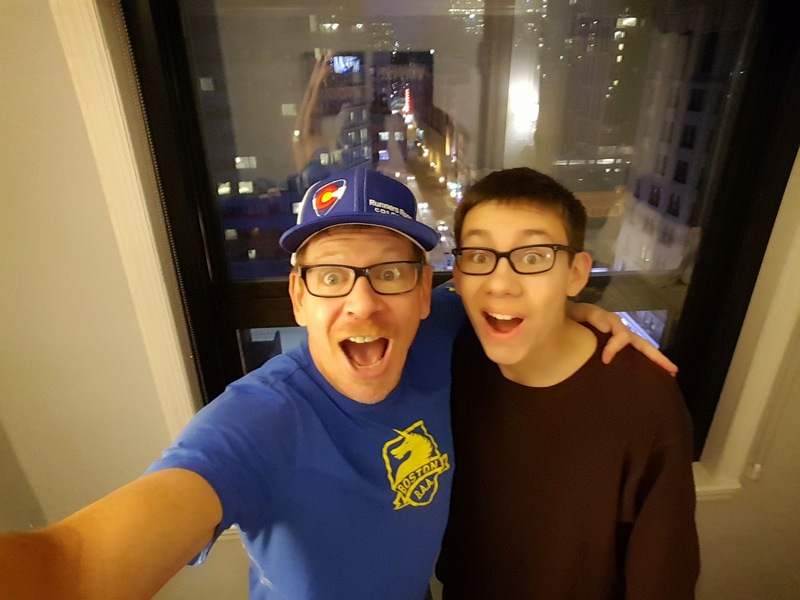 I told Jesse that his father-son trip may be two years late, but thirty some years sooner than the once-in-a-lifetime trip I took with my Dad. Hashtag; #special. Completely "rolling the dice" we went to the airport early to standby since the flight we were supposed to be on didn't arrive until nearly midnight on Thursday. What was I thinking!? Having over one million miles on United with a 1K status paid off as we not only got on the 12:40 flight (leaving snow behind,) AND got the exit row. 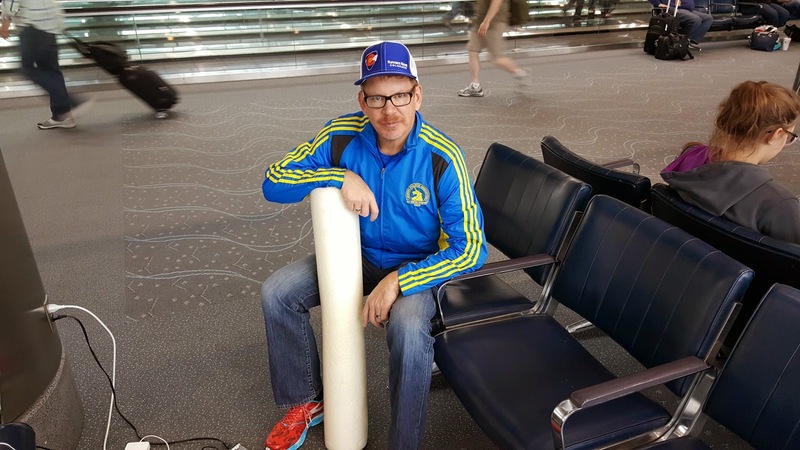 Before taking off, I had to snap a pic of my famous foam roller. Jesse looked at it and suggested I needed a new one. Growing up with a stepdad that grew up during the depression (I was cryogenically frozen for 15 years as was he which would explain how that's possible math-wise) would explain why I can't depart with my roller even though it sags in the middle. It still has firm parts on the ends so it still does the trick.. (Insert metaphor joke here.) My stepdad didn't throw away anything which is half the point, and the other half is my foam roller is famous! Anyway, a couple movies later on the plane and a quick cab ride, we've checked into our downtown hotel which is a mere five minute walk to the Boston Commons where we load the bus on Monday to head towards Hopkinton. We ended the day with a little sushi and a bit of a walk with an early night back in the room.